Most rockets take about nine minutes to put their payloads into low Earth orbit, going from a dead stop on terra firma to 17,500 miles per hour. In the case of India’s GSLV rocket, it takes several years longer. That’s the typical interval between launch attempts. You then have to add on a couple of more years to account for all of the GSLV’s launch failures. 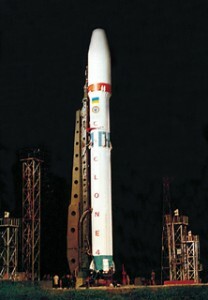 Of seven launches over nearly 12 years, India’s largest rocket has notched only two successes and one partial success. The last fully successful flight occurred in September 2004. But, ISRO is, if nothing else,doggedly persistent. 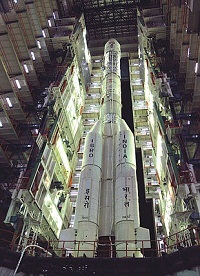 In April, the Indian space agency will attempt to launch a GSLV rocket fitted with its second domestically produced cryogenic upper stage. The launch will take place exactly three years after the turbo pump on the first homemade cryogenic engine malfunctioned, sending the GSAT-4 communications satellite into the Bay of Bengal. That failure came after 17 years of work on cryogenic technology. 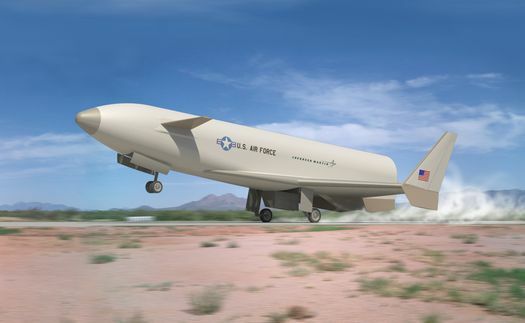 Due to “unexpected funding reductions,” the U.S. Air Force is discontinuing work on a prototype reusable rocket design effort that the U.S. National Research Council recently cited as a key steppingstone to an operational system. PARIS (ESA PR) — Today, Europe enjoys autonomous access to space, while holding a leading position in the world launch services market. ESA has begun work on a new strategy to ensure that both can be maintained sustainably in future. 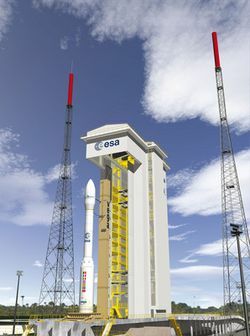 ESA has begun investigating the feasibility of a new approach for European access to space, aimed at making Europe’s launch services fully self-sufficient over the long haul. The idea behind this New European Launch Service – NELS – is to deliver competitive launch services to both governmental and private European customers while keeping pace with the rapidly changing worldwide launch market. Stratolaunch Systems’ announcement last week has required me to revise the old launch vehicle charts. 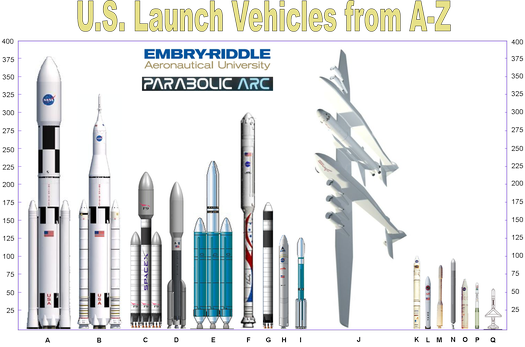 I couldn’t quite get the Stratolaunch graphic I wanted, but I think this is pretty close to scale. It certainly is on the wingspan. As you can see, it doesn’t quite fit in; if Stratolaunch were a reindeer, it would definitely be named Rudolph. 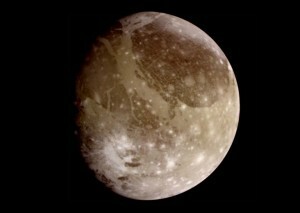 Roscosmos and ESA have agreed to pursue missions aimed at returning soil samples from the south pole of the moon and landing a spacecraft on Jupiter’s moon Ganymede, according to a Roscosmos press statement. The decision was made during a Dec. 19 meeting between Roscosmos Head Vladimir Popovkin and ESA Director-General Jean-Jacques Dordain. The space agency chiefs also discussed the potential involvement of Russia in the U.S.-European ExoMars program and collaboration in developing new launch vehicles. ESA PR — ESA and the DLR German Space Center fired a Texus rocket 263 km into space on 27 November to test a new way of handling propellants on Europe’s future rockets. 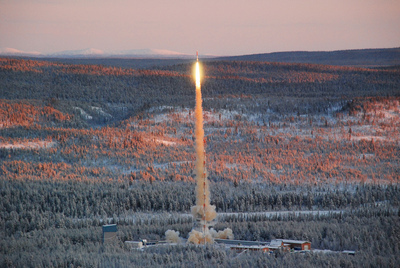 Texus 48 lifted off at 10:10 GMT (11:10 CET) from the Esrange Space Centre near Kiruna in northern Sweden on its 13-minute flight. During the six minutes of weightlessness – mimicking the different stages of a full spaceflight – two new devices were tested for handling super-cold liquid hydrogen and oxygen propellants and then recovered for analysis. 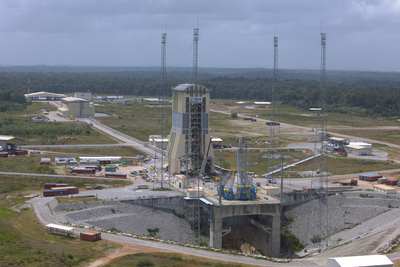 Science and Technology Minister Naledi Pandor says her department is looking at the possibility of reactivating and re-establishing space rocket launch facilities in South Africa, confirming a statement by an official in Parliament last year. Pandor was speaking at the Council for Scientific and Industrial Research’s (CSIR) Satellite Applications Centre (SAC) at Hartebeeshoek, west of Pretoria, at an event at which a live video feed from South Africaâ€™s SumbandilaSat microsatellite was publicly shown for the first time, the Engineering News and other media this morning reports. â€œWe intend to strengthen the technological and space skills in South Africa,â€ Pandor said. â€œSumbandila is a very significant development for us. Our new satellite provides us with a number of cost and competitive advantages.â€ Pandor added SA has previously spent more than R60 million a year buying images from other satellite owners. [Air Force Gen. Robert] Kehler said the presidentâ€™s decision to do away with Constellation and foster new commercial space transportation services presents both opportunities and challenges for the Air Force. Tim Pickens gave an interesting presentation this afternoon at ISDC titled, â€œGreening the Aerospace Community.â€ The Orion Propulsion founder and CEO talked what he feels the industry needs to do moving forward toward a greener profile. As if the world doesn’t have enough problems at the moment, the planet’s strangest regime is prepared to join the elite group of nations with the capability to put a satellite into orbit. Novesti reports that Russian officials have laid out a schedule for testing the nation’s new series of Angara rockets, which are designed to launch payloads of two to 24.5 metric tons to low-Earth orbit. “Flight tests are due to start in 2010. 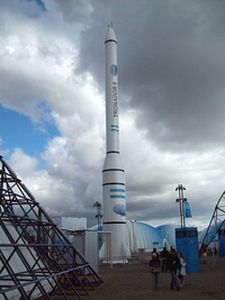 In early 2011, a lighter version of Angara is to be launched and by the end of the same year a heavy-class, Angara-5 vehicle is to lift off,” said Vladimir Nesterov, director of the Khrunichev State Research and Production Center. XCOR Aerospace will be holding a press conference in Beverly Hills, California on Wednesday, March 26, to announce what Rand Simberg of Transterrestrial Musings will be “a significant milestone” in commercial spaceflight. Simberg says he knows what the announcement will be but has an non-disclosure agreement with the Mojave, Calif.-based rocket company. 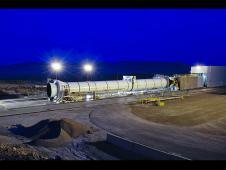 His blog is buzzing with speculation on what XCOR will announce. “A mysterious project has been underway on the XCOR shop floor behind a black curtain for some time now, and the company has been incredibly successful lately, with contracts and money rolling in faster than ever before. In fact, XCOR made Inc. magazine’s list of 500 fastest growing companies in America last year.